This year we were able to take a total of four (4) of our team members to the conference, which enabled us to spend much more “one-on-one” time with each individual inn. Social Media and the Internet – Wow! I think we had almost every innkeeper at the conference attend this session. Innkeepers who were on the fence about Social Media were presented with the “WHY” they should move forward. Innkeepers currently involved in Social Media learned how to streamline the time they spend daily. And what was so incredible was the interaction and information that innkeepers themselves shared during this session. There were many great ideas and success stories as to how Social Media was helping them increase their bottom line. All in all – this was an incredible session enjoyed by both myself and all the attendees. Blogging for Business – This session was held as the last session of the conference (after a simply wonderful lunch), and amazingly, we still had a full room of innkeepers! No afternoon-nappers in our crowd! Innkeepers learned HOW to blog successfully, how to choose great titles and content using FREE online tools and also how to establish inbound and out bound links to better support the SEO (Search Engine Optimization) of their Blog post. And we must not forget the most important point of all: It’s not about the product you choose to use for blogging… It’s about knowing how to use it for highest SEO placement possible! … and finally, we were delighted to be able to also present “Facebook and the Innkeeper” when a last minute cancellation from InsideOut Solutions left the session without a speaker. 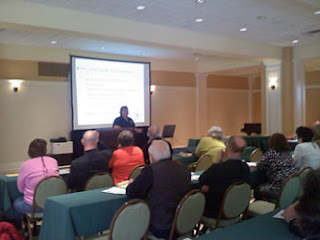 Our Facebook and the Innkeeper session was packed with standing room only! Not only did we cover the typical lecture points regarding Facebook Business Fan Pages, we set up a LIVE “Facebook Business Fan Page” for Rosemary Janofsky of the Ellwanger Estate Bed and Breakfast in Rochester New York. We have found that doing a LIVE setup allows innkeepers to SEE what they will need to do to set up their own accounts, making the process easier and attainable. This year Acorn IS was also able to provide an additional Conference Benefit in the form of “30 minute FREE sessions” with individual Inns. We were honored to meet with over 30 inns to discuss their own list of questions regarding their sites, internet presence, tracking and a variety of other topics. 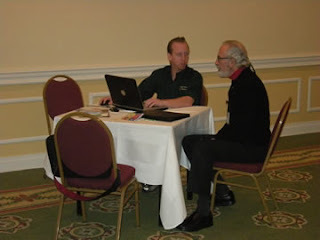 Thanks to the great accommodations at the Homestead and the flexibility of the conference staff, we were able to set up our “1-on-1’s” in a quiet room, off the trade show floor, where innkeepers could talk about their choice of topics with no interruptions. Finally, I want to thank Pete Holladay and his entire Conference Staff. 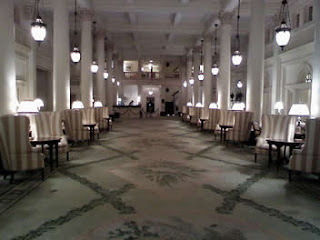 They made this years Conference and Trade show easy to prepare for and a joy to attend! Thank you!